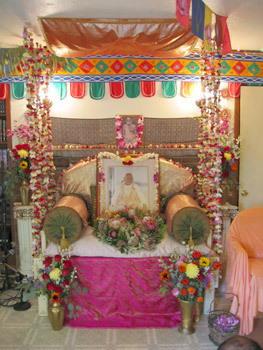 The vyasasan prepared for the pleasure of Srila Bhakti Raksak Sridhar Dev-Goswami Maharaj. 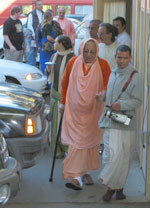 His Divine Grace leaves his room at 9 a.m. 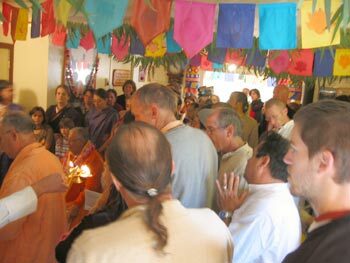 The temple room is filled with anticipation. 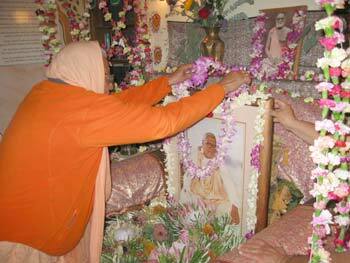 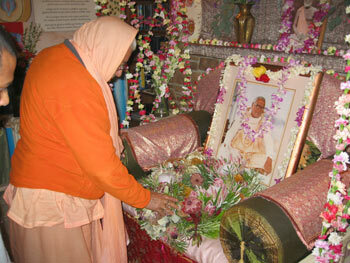 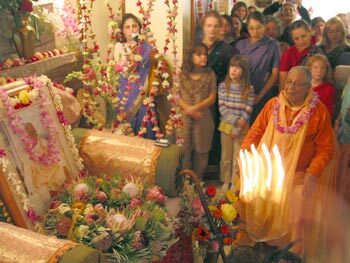 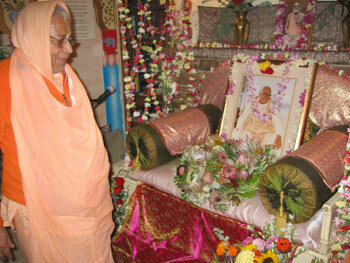 The beloved disciple honoring his Guru Maharaj. 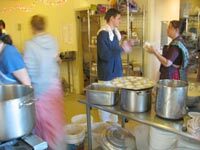 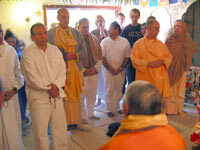 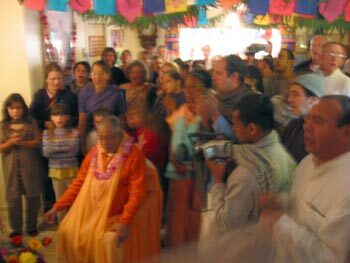 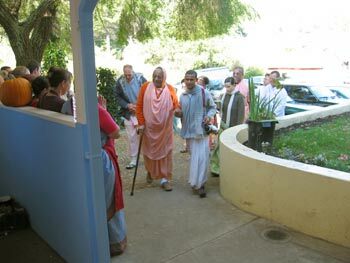 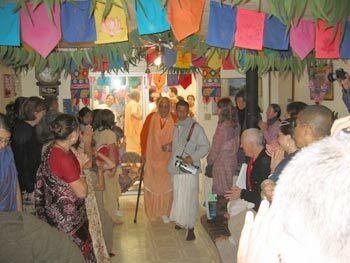 The Arati ceremony takes place in the midst of a sweet kirtan lead by Rajaram Prabhu. 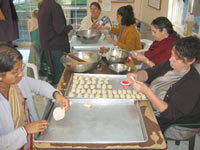 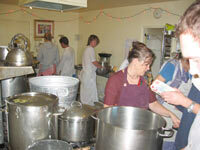 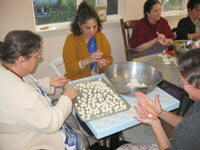 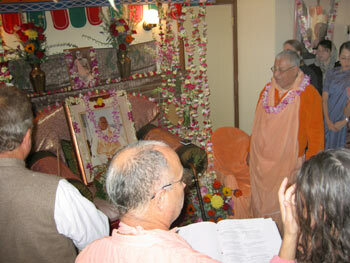 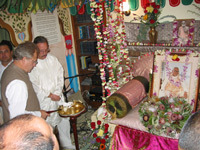 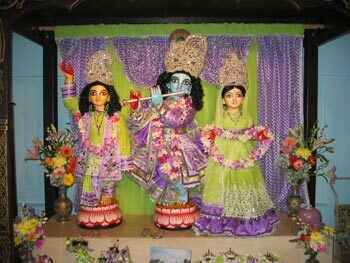 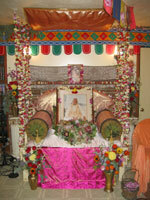 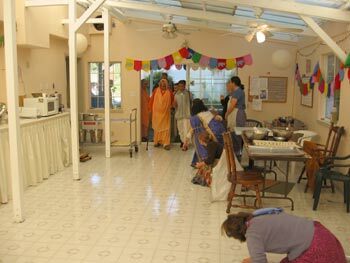 Devotees assist in the worship of a perfect disciple and guru.